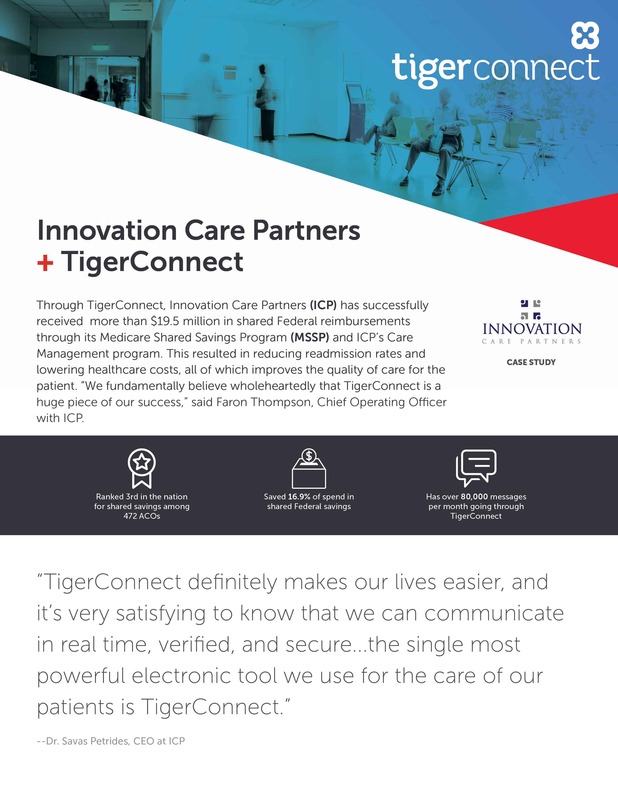 Through TigerConnect, Innovation Care Partners has successfully received more than $19.5 million in shared Federal reimbursements through its Medicare Shared Savings Program and ICP’s Care Management program. 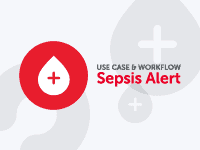 This resulted in reducing readmission rates and lowering healthcare costs, all of which improves the quality of care for the patient. 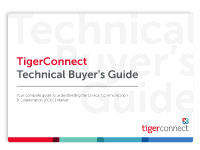 “We fundamentally believe wholeheartedly that TigerConnect is a huge piece of our success,” Faron Thompson, Chief Operating Officer with ICP. 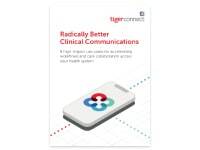 By using TigerConnect, ICP was able to cut their healthcare costs in half from each prior year. 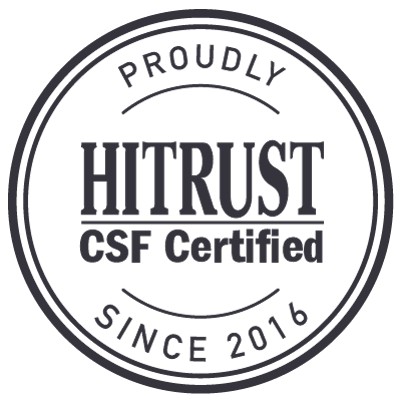 This has allowed ICP to save the Federal Government’s MSSP by about 16.9% of spend, which translates to approximately $19.5 million of shared savings. As a result, ICP was named third among the 472 ACOs in the country in terms of savings percentage, and sixth in the country in terms of shared savings return, which they attribute to the partnership with TigerConnect.